WASHINGTON — Paul Rieckhoff, founder and CEO of Iraq and Afghanistan Veterans of America, will step away from his leadership role at the group next month, a massive shake-up for one of the most prominent national veterans advocacy groups. Rieckhoff said he’s making the move for personal reasons, including the birth of his second child. He is working on a new book, a new podcast and “other to-be-announced media projects” in the near future. He’ll continue to serve on IAVA’s board. Jeremy Butler, who has led IAVA internal operations for the last year and held several other leadership posts since 2015, will take over as the new head of the advocacy group. Rieckhoff, an Army veteran who served in Iraq, has been one of the most visible post-9/11 veterans on the national stage, appearing frequently on news programs and congressional hearings. Those figures are up from past membership surveys, raising concerns about mental health problems in the community. He founded the group 14 years ago in a effort to highlight the issues most important to veterans of the Iraq and Afghanistan wars. Since then, the organization has played a key role in legislation on veterans education benefits, suicide prevention, burn pits and outreach to female veterans. 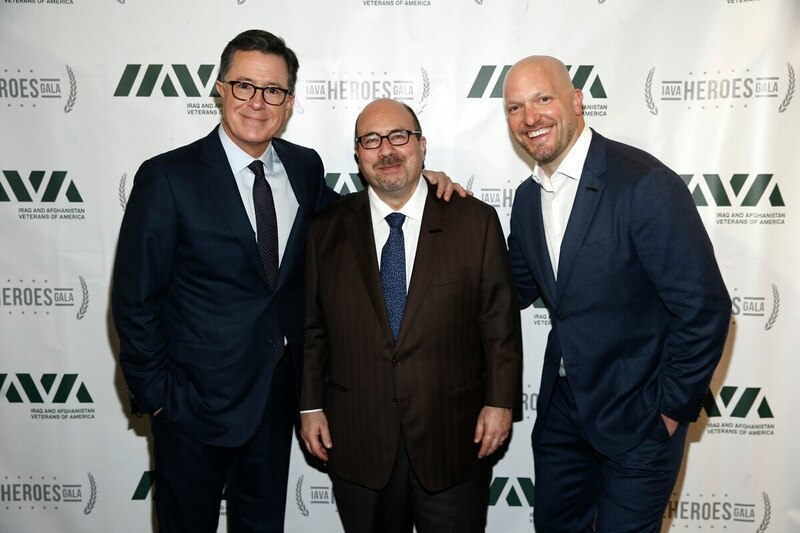 Unlike most of the traditional national veterans service groups, which elect new leadership annually, IAVA has had Rieckhoff as its chief executive since day one. The position has made him both a target for criticism and a constant voice within the veterans community, as the group has grown over the years. The group boasts alumni in senior positions at a host of technology and public policy firms, including Google and Twitter, as well as President Donald Trump’s administration. Its board includes well-known names like retired Army Gen. David Petraeus, film director Peter Berg, Craigslist founder Craig Newmark and actor J.R. Martinez. Young veterans are better educated, better paid and better off than many of their civilian peers, which researchers believe could be due to their military service. Former VA Secretary Bob McDonald — one of numerous political appointees to spar with the group over the last decade — called the group “vital to our nation’s veterans” and praised Butler as a natural successor to Rieckhoff’s legacy. Butler​ is a surface warfare officer in the Navy Reserve who previously worked in the Departments of Defense and Homeland Security. He has also been a frequent public face for the organization, though not to the extent of Rieckhoff. The group this week will release its latest membership survey, which tackles issues such as mental health, medical marijuana, and perception of public support for the military.